January 25, 2019 Applying for a Permission Related to the Launching of Spacecraft, etc. and License Related to the Control of Spacecraft Page update ! 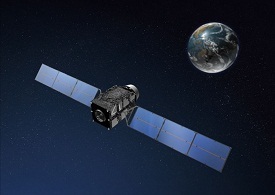 The Cabinet Office is in charge of planning, designing and coordinating policies concerning space exploitation, implementing policies regarding development, maintenance and operation of the Quasi-Zenith Satellite System (QZSS). In accordance with the Basic Space Law, the Strategic Headquarters for National Space Policy was established to comprehensively and systematically promote policies related to the space development and utilization. "The Basic Plan on Space Policy" is formulated to propel policies regarding Japan's space development and use, comprehensibly and systematically based on Article 24 of the Basic Space Law (enacted in 2008, Law No. 43), and is considered to be the most fundamental plan of space exploitation. National Space Policy Secretariat plans and designs policies to be incorporated in the Basic Plan, including those discussed in the Committee on National Space Policy. National Space Policy Secretariat of the Cabinet Office and the Committee on National Space Policy, advises strategic budgetary allocation guidelines concerning space policy to ministries and agencies every year. The purpose is to strengthen efficiency and cooperation among ministries and agencies. The Quasi-Zenith Satellite System (QZSS) contributes to strengthening industrial competitiveness and to modernizing and effectuating operations of industries, lifestyle and administration of public organizations. It also serves for the greater presence of Japan in the Asia-Pacific region by providing regional positioning service and for the national security, in terms of strengthening cooperation between Japan and the US. QZSS will also improve disaster management capabilities. The award of this prize is intended to express appreciation to cases which contribute to the advancement and promotion of space development and use, such as those who made remarkable achievements or leading efforts in the space development. The award will enhance recognition and understanding of the public on the need for promoting space exploitation. Application for Space Activity Act ※New! Space Business Idea Contest "S-Booster"